A few weeks ago, there was an article on the FVA web site about how Sheena Stanbridge and her bone-marrow donor, Mark, planned to walk the 50 miles from their respective homes and meet at the Wallace Monument in Stirling, to raise money for the Anthony Nolan charity. And to do it in 3 days, from the 29th – 31st October! Ian Marshall had helped Sheena and her sister to prepare and he accompanied them as guide and Sherpa on what was a challenging but ultimately very successful walk from Boltachan over the hills via Ardtalnaig, Comrie and Doune. Hill fog was a bit of a problem for them, but fortunately they had crossed all the major burns on the Friday before torrential rain on the Saturday! Mark walked with 3 of his brothers from Newmilns in Ayrshire. The meeting at the Wallace Monument with Sheena’s donor and his family was, understandably, a very emotional occasion. Sheena raised more than £2,000 for the Anthony Nolan Trust with more monies still to come. Sheena is hoping to raise £2,500, so if you were planning to make a donation but haven’t done so yet, why not click through to http://www.justgiving.com/sheena-stanbridge where you can make an online donation on this secure site. Last Tuesday saw the last coffee morning of the year and, as usual we had a good turnout and ‘buzz’ about the place. We had a first attendance – Fearnan’s youngest resident – born only days before, while Jane’s Lemon Drizzle Cake made a second appearance, by popular demand! 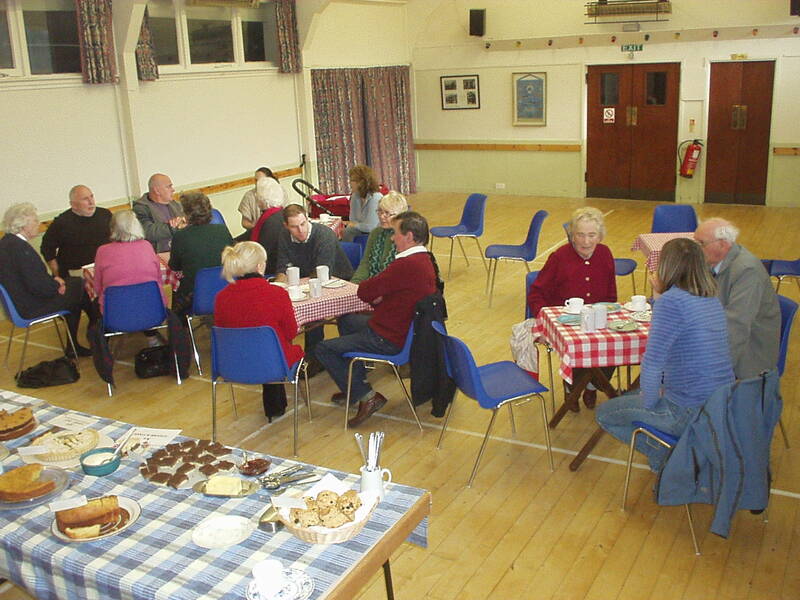 A big thank you to all those who have baked, prepared the teas and coffees, and helped set the hall up for the coffee mornings throughout the year. And an even bigger thank you to those who stay behind to help clear up afterwards! The next important date for your diary is February 11th 2012 when Fearnan’s Legendary Pudding Night will take place.